A blog about pressure gauges, really? At Perma-Cal®, even pressure gauges have a story to tell. Our interest stretches beyond an internal focus on producing gauges that are tough, accurate and stand the test of time. It stretches externally where we interact with our customers. We want to learn from them to see how our gauges are used and how we can adapt them for unique applications. This endless pursuit of learning and improving is one of the reasons hard-working people over various industries find a love for Perma-Cal® products. 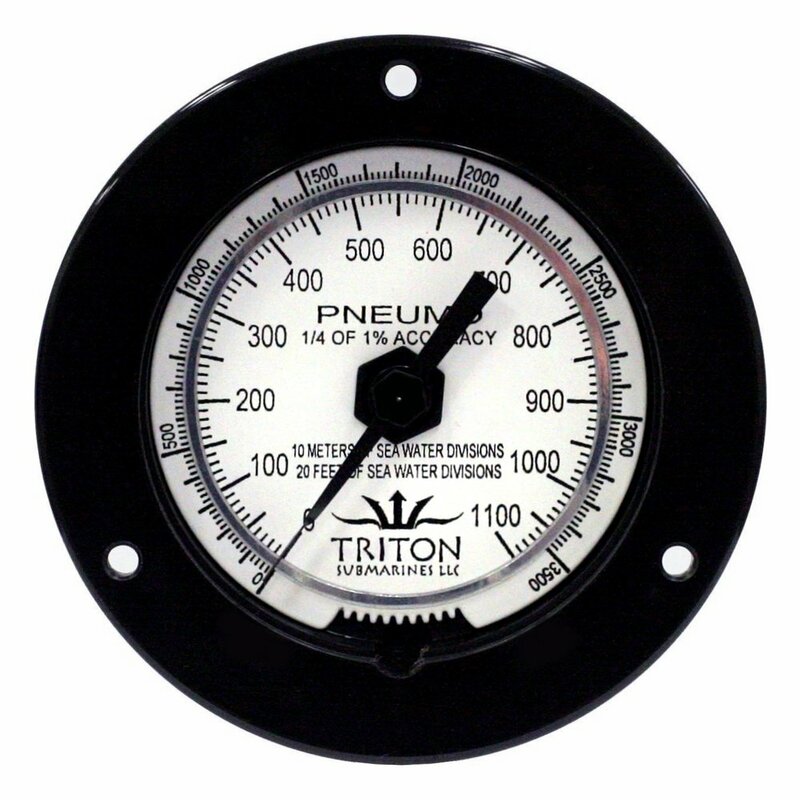 It also led us to produce a customized Pneumo gauge for Triton Submersibles. I find Triton Submersibles particularly interesting. This is an exciting business! Triton is a manufacturer of submarines used for science, film & TV, archaeology, or just tooling around the ocean for fun. Triton is a user of Customized Pneumo Depth Gauges which they have mounted within the cockpit. For their unique application they required a unique product. We worked with Triton to design a custom, 2-color, dual scale dial measuring feet of sea water and meters of sea water. We were also able to add a personal touch by printing their logo on the dial. We are proud to be a part of this adventurous company. Perma-Cal’s pressure gauge engineering prowess shines in our custom products. With years of experience building for the aerospace, military and industrial markets, we have custom gauge expertise well beyond our competition. To learn more about our customization options visit our Customization page. Let’s work together to build a product suited for your OEM or other unique application. We build gauges reliable enough for our troops to depend on; to withstand the abuse seen in real-world military applications and continue functioning properly.